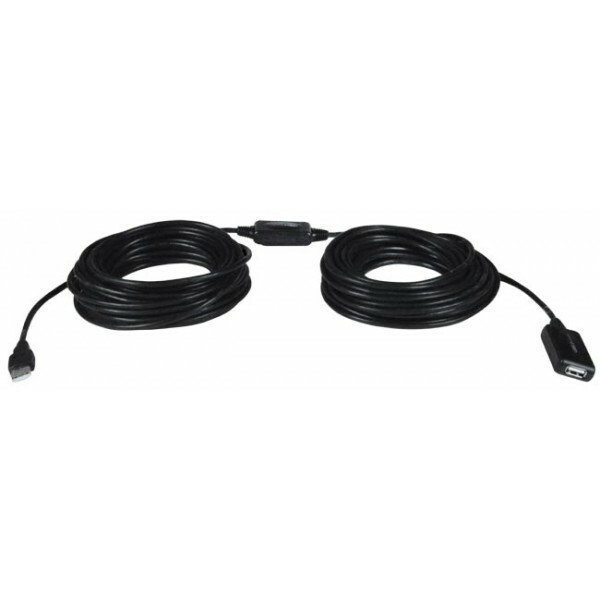 Connect up to four USB2-AA-5M cables plus a five-meter USB cable to extend one USB device up to 25 meters. USB devices that draw 2W or more can only be extended to 20m due to voltage drop. Connect up to four USB2-AA-10M cables to extend one USB device up to 40 meters. Connect up to two USB2-AA-20M cables to extend one USB device up to 40 meters. Use just one USB2-AA-50M cable to extend one USB device up to 50 meters. 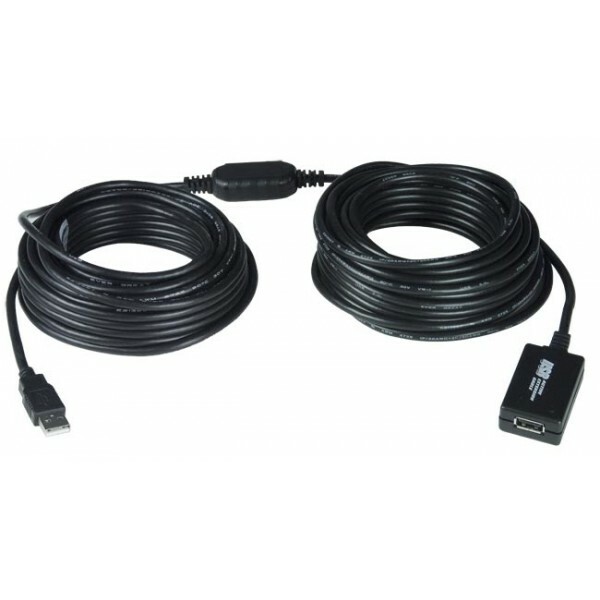 USB2-AA-5M and USB2-AA-20M : PC and MAC. USB Video Cameras Supported: Clearlinks CL-UWC-P and FV Touchcam L2 (all lengths). One female USB Type A connector for USB device connection. Compliant with USB 2.0 and 1.1 specifications.